The battle for Karnataka Chief Minister is still hung though BJP's Yeddyurappa won the CM seat and become the 'King'. Karnataka Governor Vajubhai Vala invited him to form his government and has given BJP 15 days to close the gap between 104 and 112 to show it's majority in the Assembly. BJP's BS Yeddyurappa sworn-in as Karnataka's chief minister today amid the Congress and JD(S) protesting outside the Raj Bhavan. The Punjab Minister and Congress Senior leader says the democracy has been brazenly manipulated, mutilated and massacred in Karnataka. 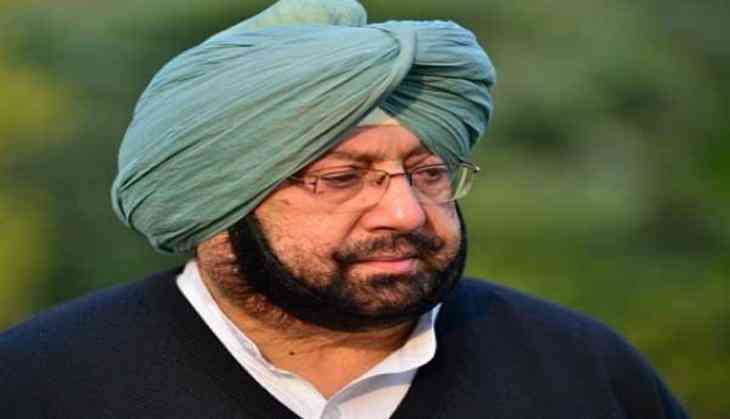 The Punjab Chief Minister Tweeted from its official Twitter account over the Governor not inviting Congress- JD(S) even having more than the required majority. “Democracy has been brazenly manipulated, mutilated and massacred in Karnataka. It does not augur well for the future of India. All eyes are now on the Supreme Court to come out in the protection of the Constitutional ethos on which the very foundation of our nation rests,” he tweeted. Democracy has been brazenly manipulated, mutilated and massacred in Karnataka. It does not augur well for the future of India. All eyes are now on the Supreme Court to come out in protection of the Constitutional ethos on which the very foundation of our nation rests. Also, Amarinder Singh said, "The (Karnataka) Governor is going against the Constitution. The role of Governor is being dictated by the government. He was an RSS member and a Cabinet Minister under Modi Saheb in Gujarat. It is obvious that he will listen to the Centre." As the Congress approached Supreme Court to stop the sworn of Yeddyurappa sworn, the top court ruled out it plea stating it won't stop him swearing-in as CM,'"As far as swearing-in is concerned, we are not restraining it, but we are making it subject to the outcome of the case," a three-judge bench, comprising Justices A K Sikri, S A Bobde and Ashok Bhushan, said after the stretched three-and-a-half long hours of hearing. Meanwhile, the apex court has ordered the BJP to produce the letters of the majority to Governor in 24 as it will resume the hearing on Friday at 10:30 am. Well, another Congress MLA from Karnataka Pratap Gowda Patil is also missing now, say reports. Pratap Patil is the Congress legislator from Maski constituency.